My Elysian was started by Alexxx and Alison in San Diego in early 2007. The two women first took the stage as an acoustic project. Their first show, in summer of 2007, was a memorial benefit show for Flight 93. After playing a few acoustic covers and the first version of their song, "Never Forgotten", the girls received an overwhelming amount of positive feedback and began writing many new original songs. After writing enough songs to record a demo, Alison and Alexxx joined forces with producer Logan Mader (Five Finger Death Punch, Dommin, Divine Heresy). Mader engineered and produced My Elysian's first two heavy songs, "Face Yourself" and "Demise". As the songs naturally took a heavier route, My Elysian was born. Upon completion of this demo, the girls decided to create a crushing heavy rock band while continuing to keep the beautiful singing melodies that define My Elysian. The ladies' first choice to take the reigns of bassist was Rice (Ghoulspoon, Divided By Zero). Rice's high energy, stage presence, and unprecedented talent was the perfect addition to My Elysian. Shortly thereafter, Mario G. joined forces with My Elysian. Mario's raw talent, passion, and stage presence was a great fit. In 2009, My Elysian worked with Marcos Curiel of POD. Marcos helped arrange and produce songs like "Over", "Come with me", and "Stand Up". In 2010, the band joined forces yet again with producer Logan Mader. The band recorded 3 new songs: "Break Me Down", "Circus", and "Get Clean." In support of this new demo, the band shot and released their first music video for their song "Break Me Down." My Elysian released their first self-titled album in January, 2011. In summer of 2011, My Elysian's debut album was nominated for Best Hard Rock Album at 2011's San Diego Music Awards . The album is available on iTunes, Amazon, and Jango, and can be heard on internet radio including, Spotify, and Jango Airplay. My Elysian's founding members, Alex and Alison moved to Los Angeles in June of 2011 to focus 100% on the music. After lots of great shows, new friends, and new opportunities, the ladies teamed up with Ben Moody (Evanescence co-founder and co-writer of hits with Kelly Clarkson, Daughtry, Avril Lavigne, Celine Dion, etc.). The girls spent a little over six months working with Moody in his L.A. home studio with engineer Josh Newell. Alex and Alison began songwriting and collaborating with singer/songwriter EsJay Jones of Stealing Love Jones and Atlantic Records songwriter Rose Jay. Along with songwriting, the girls began collaborating with DJs Alex Weiske and Derek Kerwin. My Elysian is currently getting ready to record a brand new demo that is scheduled to be released early 2013. Please join us as we build our dream from the ground up! 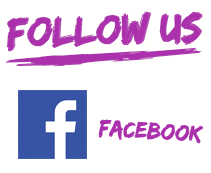 Join our mailing list by entering your email above, "like" us on Facebook, follow us on Twitter, and e-mail us!